Marrakech has seven patron saints who were Sufi mystics and Islamic scholars who are said to look after the city and each has a zaouia which is a mausoleum where pilgrims and those wishing for the help of the Saint or Sidi can pray at his tomb. The larger zaouias in Marrakech have mosques and they are charitable religious foundations who care for the sick, blind and crippled as well as orphans or the old and infirm. The spirit of charity is an important part of the role of the saints who were Sufi mystics and pilgrims give donations to the Zaouia. The concept of the Marrakech seven saints in Morocco predates Christianity and Islam and Cueta (or Sebta meaning seven),Jebel Hadid and Fez all have seven saints. The Alaouite Sultan Moulay Ismail (1672-1727) requested the Sufi scholar Abu Ali al Hassan to organize the Ziara or pilgrimage of the seven saints along more orthodox lines and establish or refurbish the zaouias. This was to raise the spiritual level of Marrakech as a pilgrimage centre. 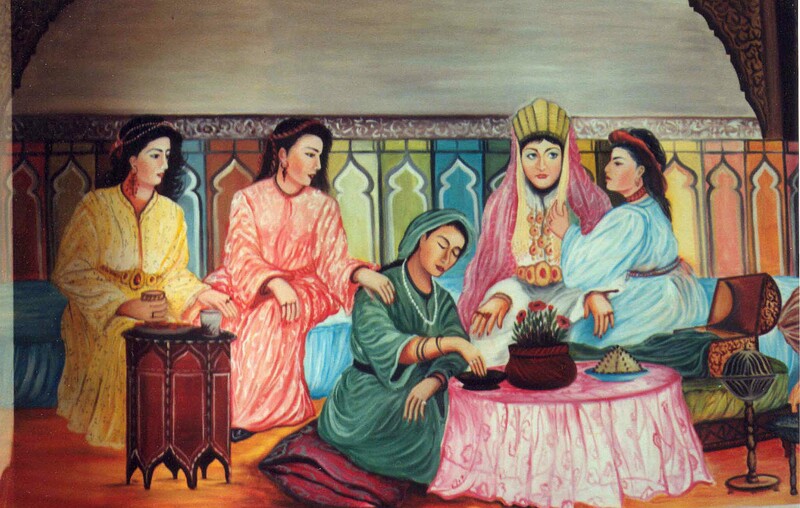 At the time groups of Sufi mystics had begun to play an important role in jihad or the struggle against the Portuguese and Spanish and the bid to unify Morocco after tribal and dynastic struggles. Moulay Ismail also wanted to ensure the orthodoxy of the devotions to saints. The cult of saints in Morocco has always been a subject of some controversy and unease in certain quarters as according to strict Islamic doctrine prayers should only be directed to Allah. 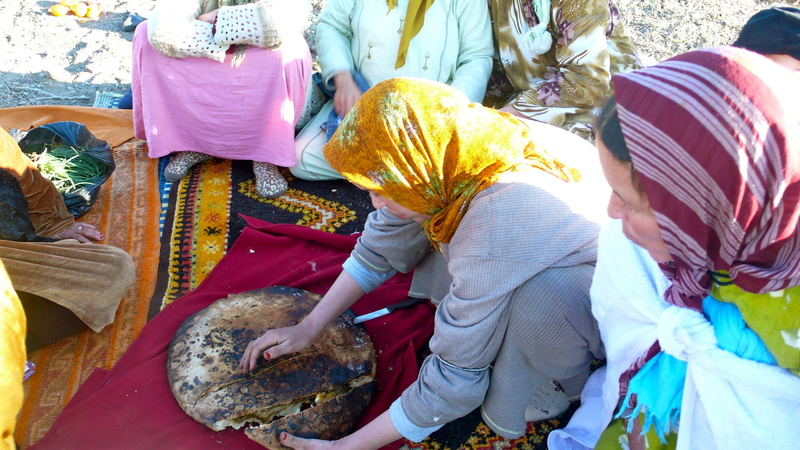 However Morocco’s Malekite rite has its own variations and Sufism is well established. The saints who were selected were Sidi Youssef Ben Ali, Cadi Ayad Sidi Bel Abbes (Marrakech’s most revered saint),Sidi Ben Slimane el Jazouli ,Sidi Abd el Azziz,Sidi el Gheswani and Sidi es Soheyli and Sidi Abdelaziz Tebbaa . This is the order in which the Ziara or pilgrimage is conducted. Only two of the saints were born in Marrakech, Sidi Youssef Ben Ali and Sidi Abdelaziz Tebbaa . The Zaouia of of Sidi Bel Abbes is the largest in the Medina. Born in Sebta (Ceuta) in 1145 Sidi Bel Abbes came to Marrakech as a youngman having pursued religious studies from an early age. He settled in a cave on a hill near a source of water and became a hermit. He lived there for 40 years without ever entering the city but became famous as a preacher. Sultan Yacoub El Mansour persuaded him to move into the city and provided him with a house and a madrassa where he could teach. He cared for the poor especially the crippled and the blind and the Zaouia carries on the work today. Sidi Bel Abbes died in 1205. The Zaouia of Sidi Bel Abbes is located 100m north of the Bab Taghzout. Non believers cannot enter but it is possible to catch glimpses of the large complex and its mosque. Sidi Mohammed bin Suleiman Al Jazouli pursued his religious studies in Fez. He played a leading role in the Sufi brotherhoods who conducted jihad against the Portuguese and Spanish and he attracted thousands of devotees. He died in 1465 at Jazoula near Essaouira His body was transferred to Marrakech. He is the author of the famous collection of prayers called Dala’il al- Khairat ( the paths of benefits ). 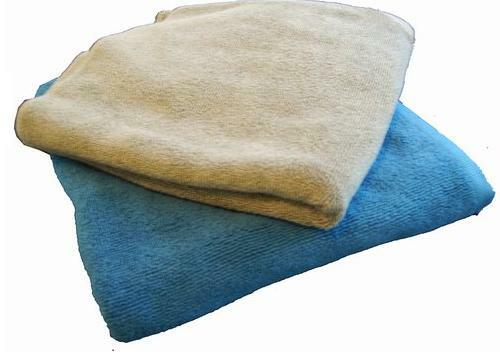 This is a renowned work of Sufi mysticism. The Jazouli Zaouia was redesigned in the 18th Century and lies north of the Medina, near the Dar el Bacha. Sidi Suheil was born near Malaga and is known for his Sufi poetry and openness to new ideas at a time of strong religious orthodoxy. He was brought from Spain by Yacoub El Mansour. 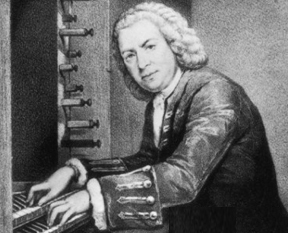 He wrote two masterpieces on the proper names of prophets mentioned in the Koran and a biography of Sidna Mohammed. He died in Marrakech in 1186. He is buried near Bab Rob . Students with memory problems are said to pray at his tomb. 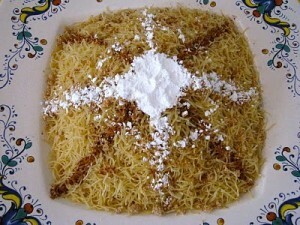 Sidi Cadi Ayyad came from Ceuta or Sebta. He was the most famous scholar in Granada of the Malikite rite in the Muslim West . With the advent of the Almoravids , he was exiled in Tadla before moving to Marrakech where he lived until his death in 1149. His book ” Al- Chifaa ” is renowned. He is buried in an old marabout near Bab Aylen. 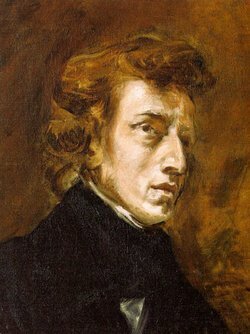 Marrakech’s university is named after him. 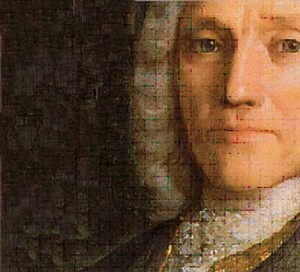 Sidi Ben Abdallah El Ghazouani came from the Berber Ghomara tribe. 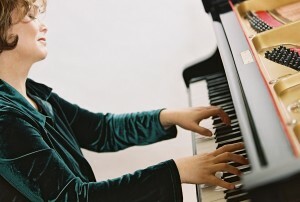 He consolidated the Sufi revival initiated by Sidi Ben Slimane el Jazouli. 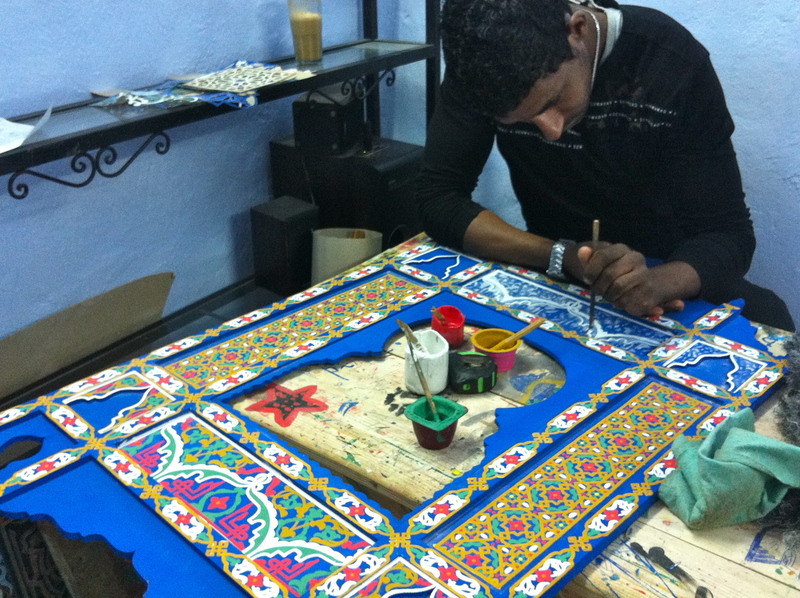 After pursuing his studies in Fez and Granada ,he moved to Marrakech to complete his training under Sidi Abdelaziz Tabaa . He was imprisoned by the Wattasids and sent to Fez but he returned to Marrakech. He founded a Zaouia and died in 1528. He was buried near the Mouassine mosque. Sidi Sidi Abdelaziz Tebaa was a silk merchant in Fes who became attracted to the spiritual life. He moved to Marrakech and was the chief disciple of Sidi Ben Slimane el Jazouli and spread Sufi ethics amongst the trade guilds in Marrakech establishing an important link which remains to this day. He was buried near the Ben Youssef Mosque in 1508. The Seven Saints of Marrakech occupy an important place in the history, life and culture of the city. 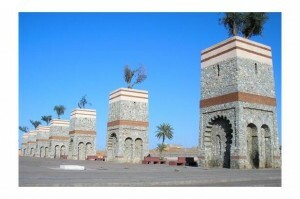 The seven towers built in 2005 at Bab Doukkala are in memory of the Seven Saints. 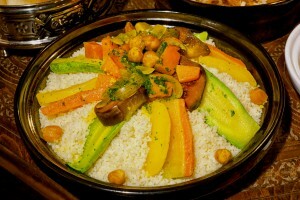 Morocco has an exceptional history of cuisine with long standing reputation and allure for the Western traveler. Being at the crossroads of many civilizations Morocco is a mélange of Arab, Berber, Moorish, French, Middle Eastern, Mediterranean African, Iberian, and Jewish influences. Keeping up to date with new travel trends, Travel Exploration has launched a Culinary Trip to Morocco for food enthusiasts. Morocco is a key destination for foodies, adventure travelers and those who wish to explore an untouched country that is full of culinary surprise and old world culture. 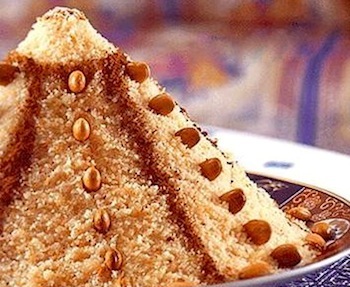 Travel Exploration’s first Culinary Trip is scheduled for May 2014 and will enable travelers to experience a cultural tour whiling eating there way through Morocco’s ancient medinas, taking two of the country’s top Morocco cooking workshops and to saunter the old medina of Imperial Fez on an unforgettable Fez Food Tour. Travel Exploration’s Culinary Trip to Morocco offers a chance to discover traditional dishes in the Imperial Cities such as bastilla and couscous, bake bread bread with the Berbers in Southern Morocco and exotic eats in Marrakch’s Djemaa El Fna Square. 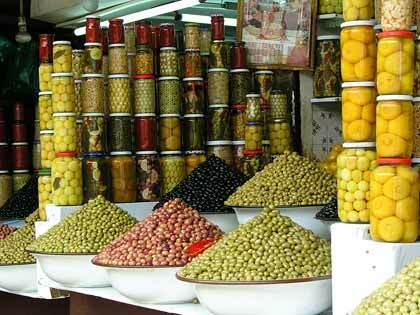 Travel Exploration’s first Culinary adventure to Morocco will take place over the course of 11 Days. All prices are per person. Maximum of 10 people in group. PRICES INCLUDE: Accommodations at Charming Moroccan Riads and Boutique Hotels in 4/5 Star Category, two meals per day, all cooking workshops, food tours, guided historical tours, wine tasting, and ground transportation in comfort luxury vehicle. Airfare is not included. Rabat, the capital of Morocco retains a charming relaxed atmosphere in the center despite its 1.2 million population. Magnificent tall palm trees stretch down the main Avenue Hassan II passing the main station and the red Parliament building opposite the well known and classically Art Deco Balima Hotel. Balima Hotel in Rabat was used to be the premier hotel year ago with locals and tourists sitting in the open air café area. 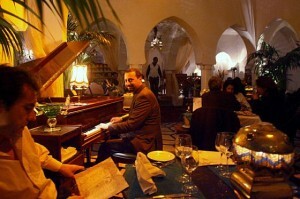 Cafes and patisseries are abound in Rabat like most other Moroccan cities. International five star hotels now include the Sofitel Jardin De Roses, Golden Tulip, La Tour Hassan and the Dawliz. Rabat is also home to several charming Riads with private gardens and courtyards such as Villa Mandarine, Riad Kalaa and Riad Art. 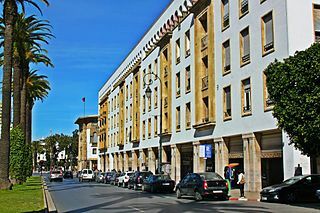 Rabat is also a university city with the famous Mohammed V University, as well as being the centre of government with ministries in the ministers’ quarter and the modern suburb of Rabat Agdal. The Ville Nouvelle has a 1930’s feel with its shops lining the streets. The towering spires of the Saint Peter’s functioning Roman Catholic Cathedral also adorn the city center. Rabat is still an important center for textiles and shirts are good value. 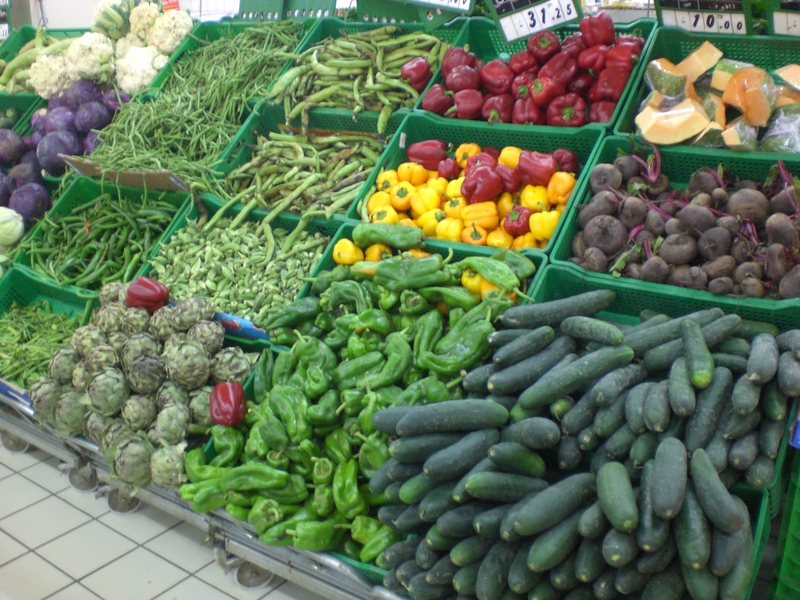 However change has come to the Moroccan capital. The tram system is now fully functional and It has become an important offshore center and it is the headquarters of Maroc Telecom the main telecommunications company. It was recently awarded second place in “Top Travel Destinations of 2013” by CNN. It has also recently been named as a UNESCO world Heritage site. A new world class yachting marina catering for 248 yachts has been created on the banks of the Bouregreg river near neighboring Salé. A new bridge spans the river between the two cities. A major new tourism development program backed with substantial Gulf investment is boosting Rabat and Salé’s tourism appeal. Rabat is a noted green city with extensive forests. The Royal Dar Es Salam golf club is a world class course and there are good opportunities for riding. 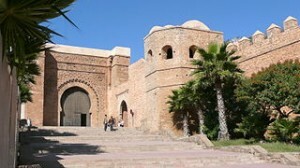 There are a number of historic sites which have always drawn tourists to Rabat. The medina is smaller and less complicated than Fez or Marrakech but is still a place for good deals especially carpets and leather goods. 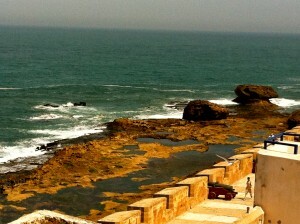 There are picturesque views of the old harbor and battlements. The city walls and gates surround the centre and the Royal Palace grounds called Mechaour which you can sometimes enter, though you have to keep to the main pathway. It reminds you that this is a Royal capital too. The Chellah Necropolis is an historical ruin outside the main gates . It is a national treasure which was in existence in Phoenician, Carthaginian and Roman times as the port of Sala Colonia but it was ruined in the tenth century and thereafter used by the Merinid dynasty as a necropolis. The Roman ruins of Sala Colonia have been excavated. It is one of the most striking ruins in Morocco with its Merenid built walls and towers. From the Chellah there is an amazing view across The Bouregreg river with Salé and the rolling countryside beyond. The Kasbah of the Oudaias is the original site of the rabat or fort which gave the capital its name where the Sultan’s forces were stationed to keep rebellious Berber tribes under control. It was built by the Almohads and its walls are 10 ft thick and 30ft high. The Oudaias were an Arabic tribe that entered Morocco in the 13th century and served the Sultan. The grand Bab Oudaia gate with its decorative arches leading in to the Kasbah was built by Sultan Yacoub el Mansour. Rabat became home to Arab and Jewish refugees from Spain and the white washed Andalusian houses bear witness to this. 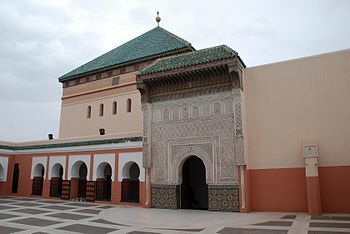 The La Jamaa el Atiq mosque was founded by The Almohad leader Abdl Moumen in 1150 and is the oldest mosque in the city. 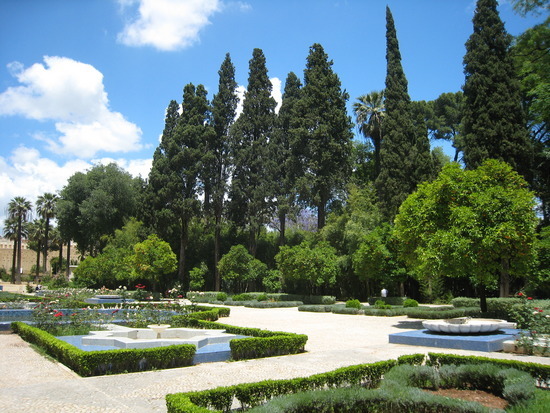 There is also the Oudaia Palace museum dating from 1694 and the Andalusian garden. 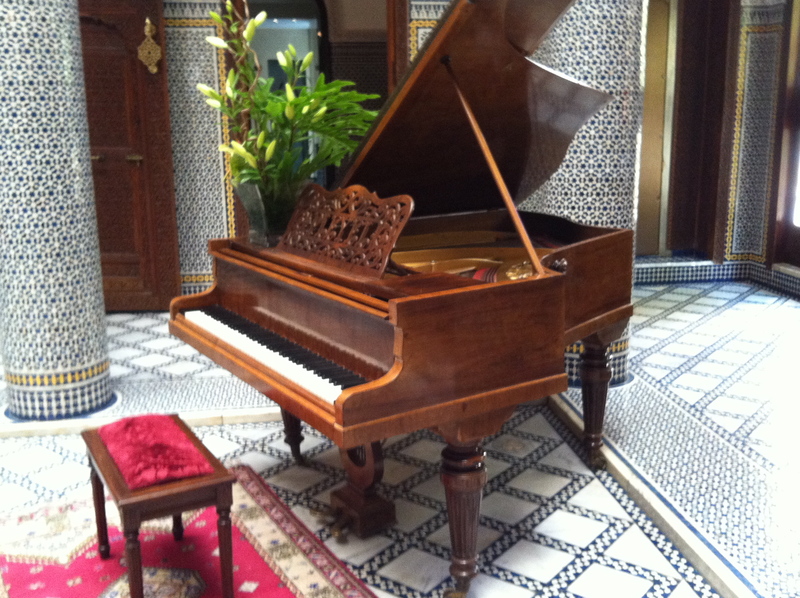 The museum displays traditional ceramic designs and has period furnishings in the apartments. 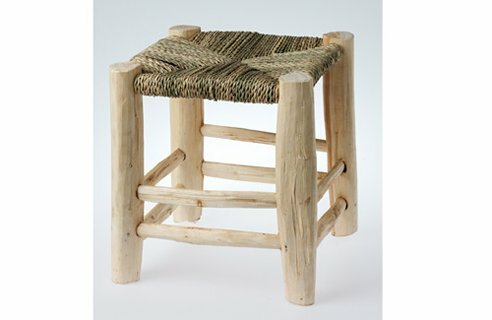 There is also an impressive collection of Moroccan handicrafts including costumes, jewelry, pottery and tribal musical instruments and a replica of a Berber nomad tent. During the year, the small town of Tissa,on the edge of the Rif region, in the province of Taounate, is a quiet rural community, tucked away in the hills of the Moroccan countryside, fifty kilometers away from Fez. 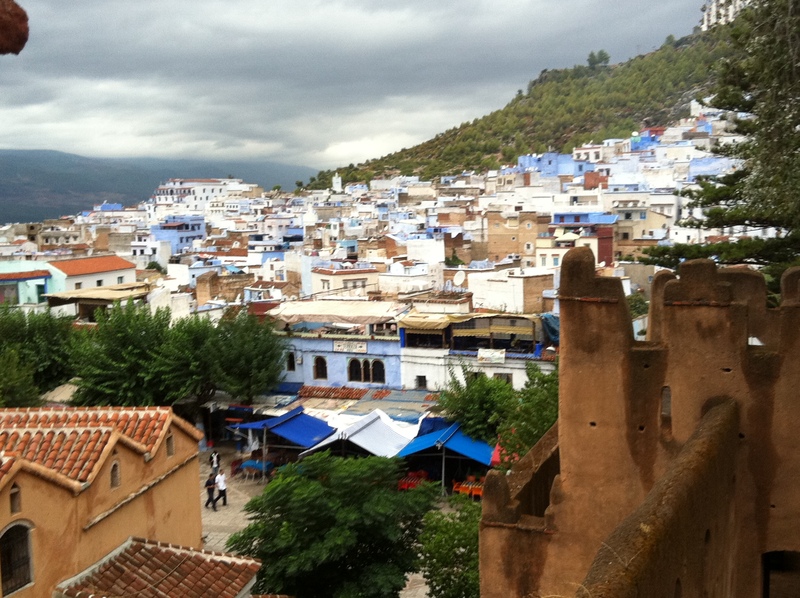 From 8-13 October 2013, the town will be transformed, as it is each year, in to one of the premier horse festivals in Morocco. The culture and tradition of horses and horsemanship is deeply rooted and widespread in Morocco. 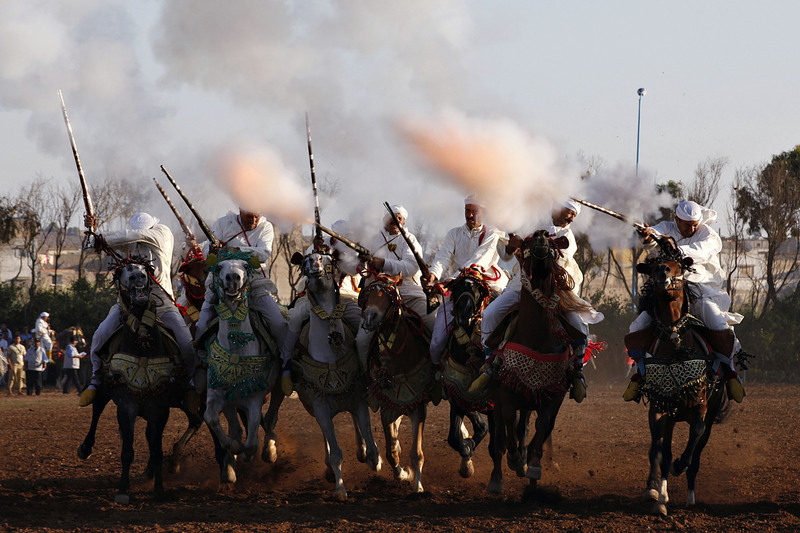 The Fantasia or Tborida are contested by competing teams dressed in colorful traditional gandouras and djellabas, charging the full length a field only pulling up at the last minute whilst firing their djezail flintlocks with a thunderous explosion. The Tborida teams led by a ma’alem, or teacher,form up Into a single line and at the signal begin the charge. In the closing stages they must rotate their djezails with one arm at full gallop before pulling up and firing. They are assessed by the judges for horsemanship, maintaining their line during the charge and successfully pulling up at the end. The horses are trained to do this, but even so, riding at full gallop with the reins in one hand and the djezail in the other is an impressive feat of horsemanship. Very rarely a horse may run on after the halt. To stand in front of the charge even though it is behind a barrier is to sense something of the fear these riders inspired in the enemy. The firing of the djezails is very loud and the smoke billows in the air,along with the occasional wad from one of the djezails dropping to earth. The French Romantic painte, Eugène Delacroix, immortalized the Moroccan tribal horseman riding into battle following his first visit to North Africa in the 1830’s and the son of the Pasha of Marrakech, Hassan El Glaoui, famous for his paintings of Moroccan riders and horses once remarked that his father who died in 1956, went to war on horseback. The large tent city erected for the festival also provides traditional music and dancing as well as displaying artifacts, ceramics and jewelry and providing food and drink. 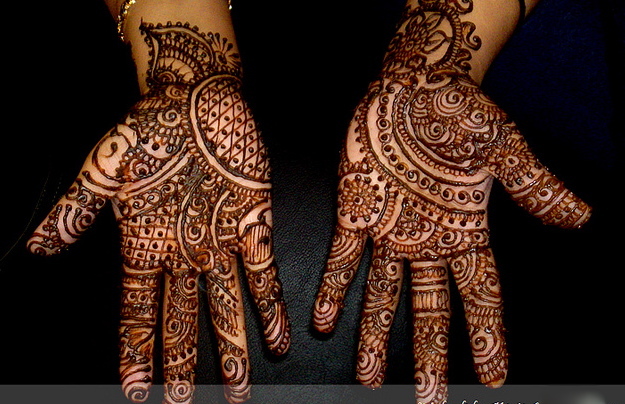 The festival is an important event for the local economy and has been held in Tissa since medieval times. It coincides with the mouassem of a local saint, Sidi Muhammad ben Lahcen who lived in the 15th century. Like all good horse shows the different breeds of horses are the subject of close attention; pure bred Arabian stallions, Barbary mares and Arab-Berber horses are bought and sold. To bring the Horse Festival of Tissa to a close, there is a huge parade in the stadium. The international horse show at El Jadida under the patronage of King Mohammed VI has done much to reintroduce the Barb horse , which has great strength and endurance , back into international breeding circles. Tissa has a great reputation as a horse show with a fair, sometimes a circus, a huge bazaar, and finally the official folklore of the region “Hayti”. It is visited by 4,000 spectators each year and is a great opportunity to enjoy an important regional event and mix with the locals and Moroccans who have brought their horses from all over the country. Moroccans living abroad in France, Spain and Italy also participate in festivals such as Tissa. Tissa was garrisoned by the French during the protectorate because it was on the way to Fes and has an upper Tissa on the hill with a church and other buildings and lower Tissa lies at the bottom of the hill. 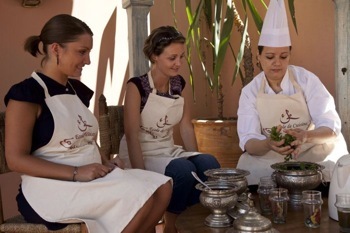 Travel Exploration Morocco Private Tours is a winner of the Trip Advisor Certificate of Excellence aware for 2013. The Trip Advisor Certificate of Excellence Award is a testament to Travel Exploration’s High Standards and Service provided for Morocco Private Tours and Morocco Day Tours. 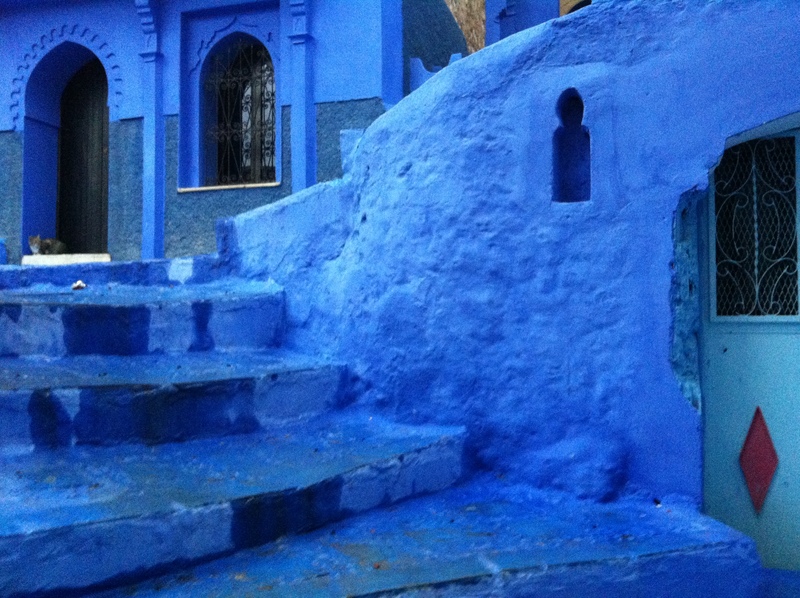 Travel Exploration Morocco earned exceptional traveller ratings over the past year. The Trip Advisor Certificate of Excellence honors businesses that consistently earn top ratings from Trip Advisor travelers. The Trip Advisor award which is given to the most exceptional performers in Trip Advisor’s global business community, is a significant achievement deserving recognition of both travelers and staff. 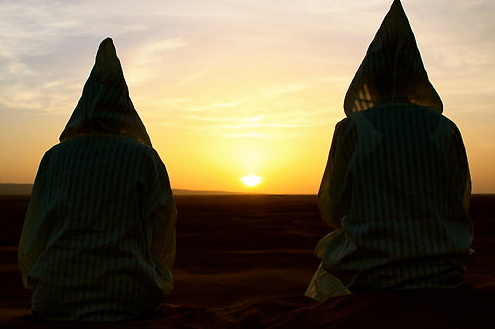 Travel Exploration Morocco is a full service travel agency with offices in New York, Marrakech and Ouarzazate. The owner of Travel Exploration is a former magazine publisher, music business executive who established Travel Exploration Morocco Private Tours to show travelers the best of Morocco. 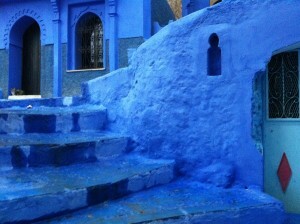 Discover Morocco with Travel Exploration on a tailor made private tour. We offer mid-range and luxury options. You will travel to Morocco and visit Arabo Andalous architectural sites in the Imperial Cities, majestic palaces, glorious houses of worship, opulent gardens and a breathtaking Sahara desert. 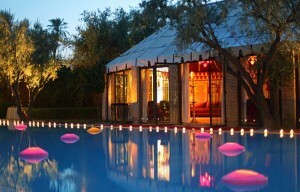 You will taste Moroccan hospitality in Berber Villages and enjoy exquisite cuisine and elegant accommodations. Our team of expert, licensed Multi-lingual guides and drivers will set in motion a memorable journey. As a member of the American Association of Travel Agents we take pride in our impeccable service and reputation. We donate 5% of all proceeds to Berber Villages. You are currently browsing the archives for the Morocco Tours category.